Unless you've been living in a sea anemone for the last couple of months, then you will more than likely have heard there is a sequel to Finding Nemo and this time, Dory is the one who needs finding in Disney's latest film, Finding Dory. 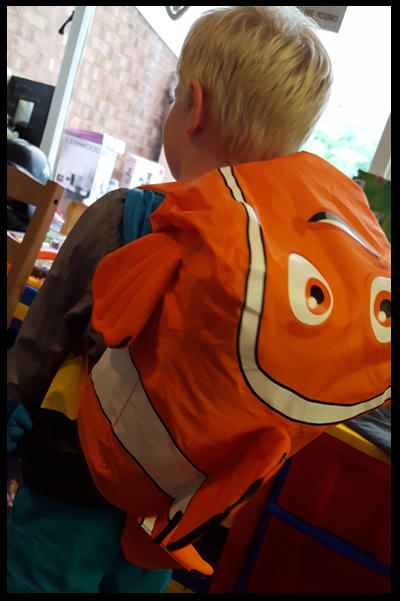 My son has seen the trailer for the new film a few times now and is so desperate to see it and is constantly talking about Dory and Nemo, so when I was given the opportunity to review the Nemo SwimPak from Little Life, I just knew it would go down well with him! The bag retails at £24.99 (with free delivery) and I can see why! This is a quality bag that ticks a lot of boxes for me (and some I didn't even think of! 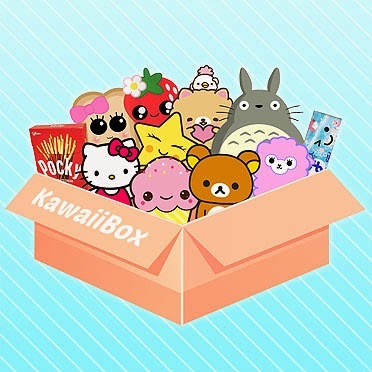 ), and is not just a gimmick themed bag! 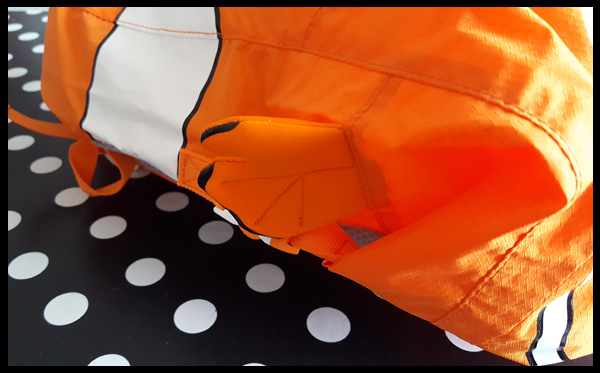 How did we find the Nemo Swim Bag? 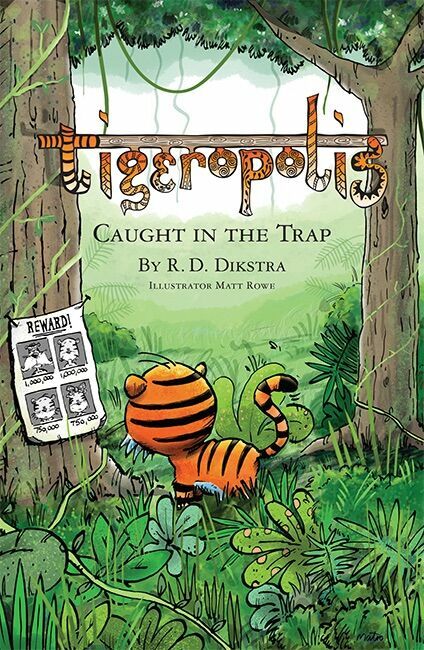 My son's eyes nearly popped out of his head when I showed him the bag. 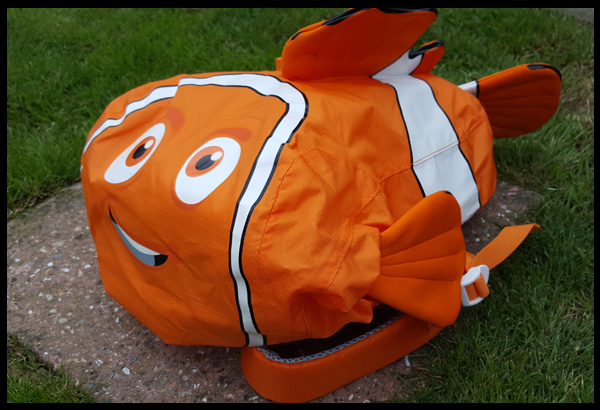 As I mentioned Nemo is a big hit in our house, so Max was more than happy to use this bag for the beach and swimming lessons. The bag is highly water-resistant, which being advertised as a swim bag you would expect, this gives me peace of mind for everything that went inside his bag, and believe me, he can pack his bag full! The bag is big. My son is 4 but a very tall 4 years old and often mistaken for 5/6 and as you can see it fills his back! We easily got his towel, change of clothes, flip-flops, goggles and water weights in this bag with room to spare! 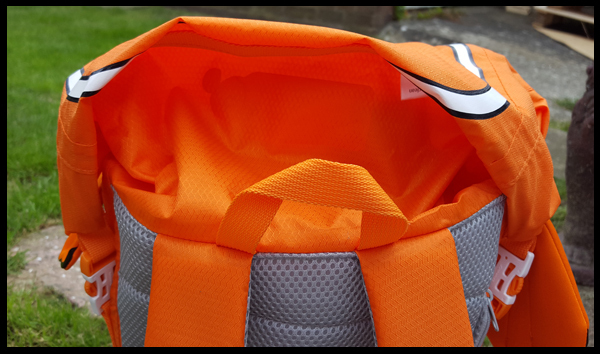 As the bag is designed for the beach and swimming, there is a clever feature in that it has a roll-top closure, this I'm sure is an extra step to keep the contents secure and dry but I have to admit, I do find it a bit fiddly at first. The seal is Velcro so there is no zip which means your child will be able to access their contents themselves, a responsibility my son loves. Also up the top and inside is a nice large name and address label - an absolute must. Overall, I believe all areas of a swim bag have been considered and implemented with this product. From what I've mentioned above, a hidden zip coin pocket, carry handle and padded back and shoulder sections. The final touch is Nemo's little fin - for me, that's the best bit! My son loves this, it's vibrant, it's Nemo and it means we are off out to have some fun. 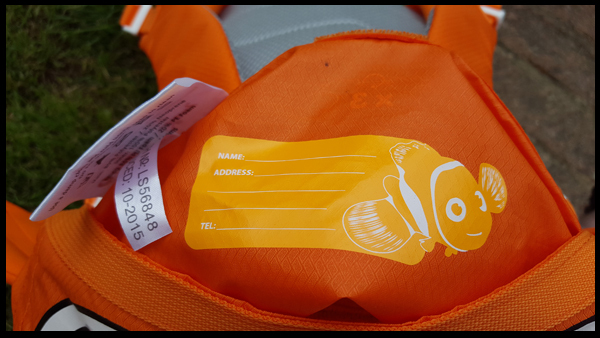 I received the Nemo SwimPak from Little Life to review. The above wording is all my own and not influenced by the product received.